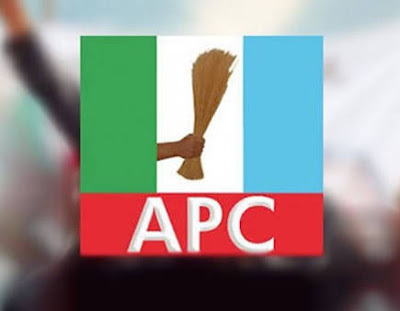 The Kwara State chapter of the All Progressives Congress (APC) has called upon Dr. Bukola Saraki to tow the path of honour by relinquishing the office of the Senate President he currently occupies since it is an office exclusively reserved for the party with majority members in the Senate. The party in a statement issued in Ilorin on Friday by its Chairman, Hon. Bashir Bolarinwa said that, "Members of the hallowed chamber must be truly distinguishable in character and conduct". "The path of honour was led by Distinguished Senator Godswill Akpabio who before defecting to ruling party had honourably resigned as the Leader of the minority party in the Senate. "It behoves Saraki as a Distinguished Senator, if he is one to honourably resign from that office of trust. He should for once tow the path of honour and stop heating up the polity unduly. "Every man or woman in any political office must know that it is a trust, he or she holds for the people. It is therefore expected that such personality should live above board." "Rather than towing the path of honour, Saraki had apparently tried unsuccessfully to incite the unsuspecting public against the Federal Government through series of drama in the recent time. "Please recall how he led us in a make believe opera that his official residence was besieged by police officers on instructions to forcefully arrest him and ultimately get him removed from office. "As if he was entangled in a nightmare where he saw himself removed from office; a latest prank of his, was the camouflage Commando -like, drafting of unauthorized DSS operatives to the entrance of the National Assembly, where himself and his co-travellers interpreted the move as another failed attempt to remove him from office."